Tees Valley Sport works in Partnership with Sport England, the Youth Sport Trust, the Association for Physical Education and local partners to support schools in making the most of the Primary PE and Sport Premium. We will support your school in all aspects of delivery of physical education, school sport and physical activity. 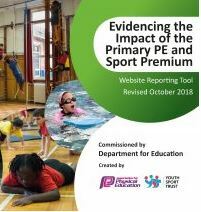 sports coach UK in conjunction with the national partners (afPE, CSPN, Sport England, UK Active Kids and YST) have produced a range of case studies exemplifying the effective and sustainable use of the Primary PE and Sport Premium funding.